The messenger of Allah said: "People must cease neglecting Jumuah, or Allah will put a seal over their hearts and they will truly be among the negligent." Sahih Muslim, #2002. A full Jumuah service is offered each week at both the ICSJV and Alfarooq Islamic Center. Jumuah starts at 1:05 pm and usually ends around 1:45 pm. The Khutbahs are delivered in arabic and english. 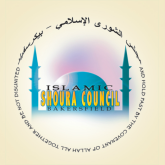 Contact information and directions to Alfarooq Islamic Center and the ICSJV may be found under the "About Us" section of this website located at the top of this page.